The first thing you see when you walk into the Ronald Reagan Presidential Foundation and Library are the Purell dispensers. Much like Reagan, it's inexplicable — sanitize your hands all you want, you are prohibited from touching anything in the place anyway. Most of the docents looked about 16-years-old (likely nearby Simi Valley High School students); I was convinced I could stump them with "Where are President Reagan's wooden teeth displayed?" The docent working the Oval Office facsimile, however, was full of good information. He was, at it happens, British. 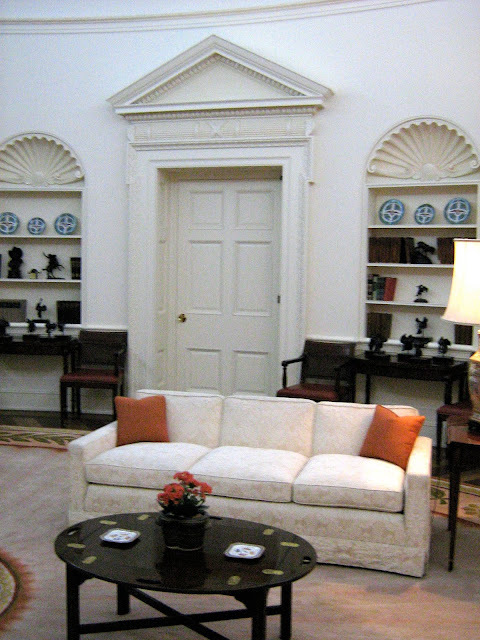 Visitors are not allowed to walk through the fake Oval Office, nor are they allowed to sit on the furniture or touch anything. This was also confounding — nothing in the set is an actual antique, nothing has any real or historical value. And yet... visitors are prohibited from touching any of the fake stuff. But what about all that Purell? Are we supposed to eat it? Anyway, the British docent recounted one of my favorite pieces of White House trivia: the story of the Resolute Desk. The desk was a gift from Queen Victoria and has been used by many Presidents since (notably by President Kennedy). In 1845 Sir John Franklin set sail from Britain to find the Northwest Passage to Asia. He disappeared, and a rescue mission was launched in 1852 on the HMS Resolute. The Resolute got stuck in the ice and was abandoned. It later turned up, and the Queen decreed that timber from the ship be used to build the desk which was presented as a gift to President Rutherford B. Hayes. In other words, it is traditional for our President to sit behind a desk made out of a shipwreck. 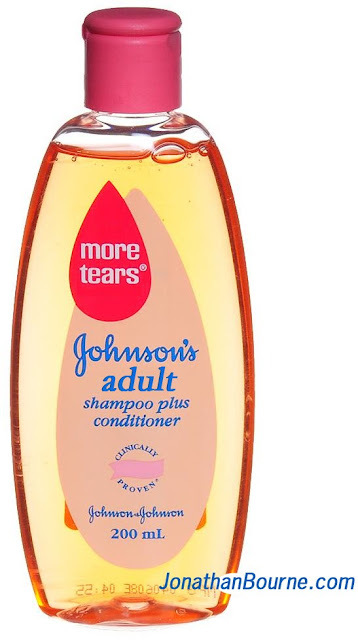 foray into adult hair care products was ill-advised. 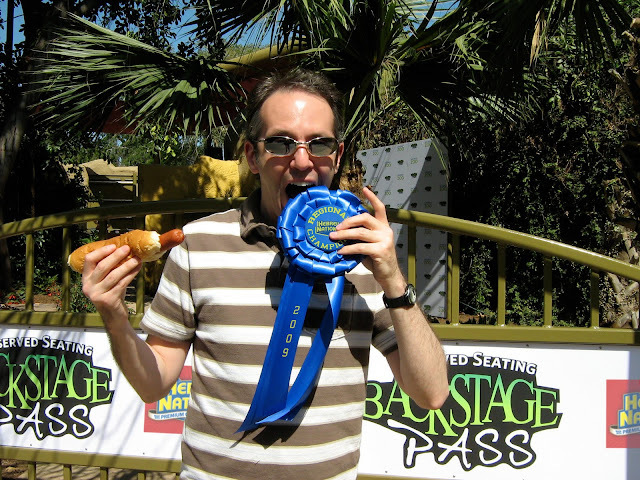 When I received something in the mail from my high school reunion committee asking for a life update and a photo, I made this and told them that I'd become a "professional eating champion."